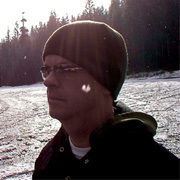 After establishing himself as a member of Seattle’s indie-rock scene with his band Hush Harbor, Scientific American (sound designer Andrew Rohrmann) became interested in the idea of using the computer as his primary instrument. His solo productions, which incorporate elements of electronic dance music, hip-hop, and rock, have been used by the Seattle Art Museum, the Sound Unseen Film Festival in Minneapolis and for well-known television ads promoting Volkswagen, Hewlett Packard, and Discover. He has completed critically praised remixes for a number of indie favorites including Modest Mouse, 764-Hero, and Red Stars and shared the stage with Dabrye, Four Tet, Boom Bip, and Manitoba. With a production style that is mature beyond its years, Scientific American is poised to join the ranks of the top producers in electronic music.